Have you ever thought about exactly why restaurants so interesting to people that want to be entrepreneurs? Now, of course, there are some people that do it for the love of food and cooking for others, but still, restaurants really do attract that entrepreneurial spirit. With its many nuances, necessities and complexities, starting a restaurant can be a daunting task. But, if you really are that wild and crazy, and you really want to start your own place, then read on. We have come up with the 10 crucial steps you need to take in order to run your very own restaurant. So, these are the ten easy steps. Easy to follow of course, not to do. On the other hand, nobody said being your own boss is supposed to be simple. Read on, and learn. These are actually essential in establishing a share of the market. Your concept should tell a story, with everything from the colour scheme of the interior, to the lighting, the cutlery, plates and table linen. The chef is the soul of a restaurant, so finding a talented one is essential. But your regular kitchen staff and front-of-house floor staff is just as important. Also, consider uniforms, as they project a professional, well-organised image that diners find reassuring. This is not just a matter of cost efficiency but also a matter of quality. From choosing the right kitchen hardware to opting for eco-friendly kitchen mats and cloth roller towel dispensers in the restrooms, getting this right from the beginning can save money and headaches in the future. Keeping start-up costs as low as possible is a key element of the whole procedure – though not at the expense of quality. So, assessing the quality versus price is important if you’re to turn a profit. The Chefs King, Gordon Ramsey, had this to say about the role of a well-run and professionally staffed kitchen. “Chefs and their brigade have become today’s theatre and in many cases are taking to the actors’ stage like seasoned professionals,” he stated in a lengthy article published on Chefsworld.net. There is a bit of psychology at play here, but getting the pricing right can play a big part in getting diners through your doors. Special deals are fine, but if prices are too low then consumers might think there is something wrong. The new trend in dining, this has become more and more popular. People really enjoy their meal more when they know that the restaurant is doing its best to be as eco-friendly as possible. The appliances, waste management, food supplies, everything is in line with being eco-friendly and even good for the environment. Marketing is very important. Promotions, ads, flyers, you should do everything you can to announce to the world that you have a place where people can eat. There are hundreds of restaurants cropping up every day, and so you need to find a way to stand out. Essentially, if you have a good restaurant, if you provide a good dining experience, your customers will recommend you to their friends. Then these friends will recommend you to their friends, and so on and so forth. Of course, there are many more things you need to know if you want to start your own place. Still, this will hopefully give you some idea on what to focus on. Best of luck. Before you leave, one last quick tip. First impressions last a lifetime. Every time somebody eats out, they take a risk. 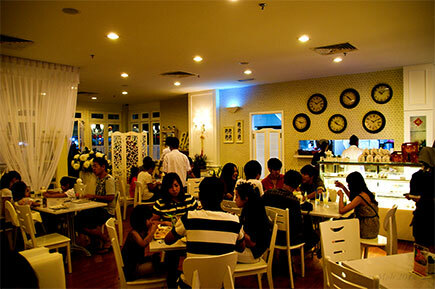 So having a clean, bright and nice looking restaurant will surely put them at ease. A nice environment, good atmosphere, and amazing food and service will guarantee success. If you want to have an easy and economical way to revitalise your restaurant, Alsco is here to help you. Call us now, our friendly representatives are waiting.